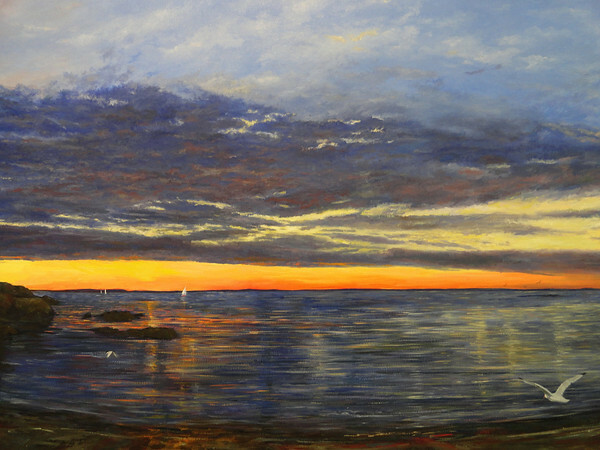 “Being by the Ocean” paintings by Patricia Doherty will be at the Hills Gallery at the Newburyport Art Association, 65 Water Street, Newburyport, MA. The one woman show runs from July 1-14. The gallery hours are Monday through Saturday 11 a.m.- 5 p.m. and Sunday 1-5 p.m. The reception is on Saturday, July 7 , 7-9 p.m. with refreshments and live music.